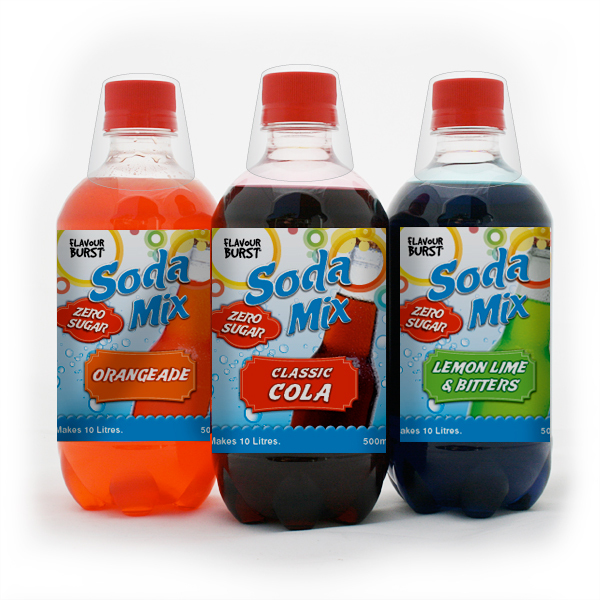 Zero Sugar Soda Mixes contain no sugar so makes an excellent low calorie beverage choice. Suitable for use with any soda/carbonating machine or add to sparkling water or soda. Classic flavours like Cola and Ginger Ale. for food safety (202, 211). Free from Egg, Dairy, Fish and Nut products (none processed in the factory). 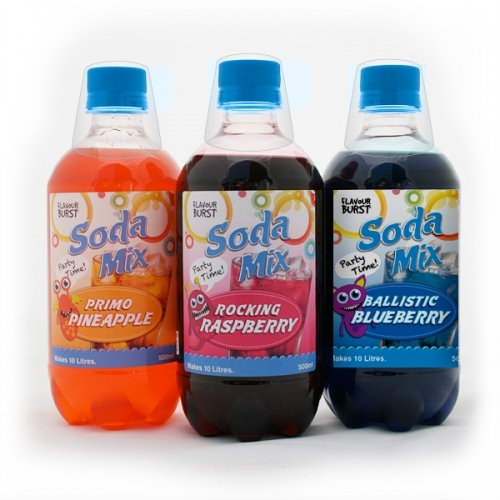 Add 50ml of Flavour Burst Party Soda Mix to 950ml of water and carbonate. Orders dispatched next working day (Monday to Friday). On average orders take 3 days maximum to be delivered to your door. Pay by credit card, Pay Pal or internet banking – just follow instructions at checkout.